Spanish Andalusia boasts some top-notch zoos and sea life parks. 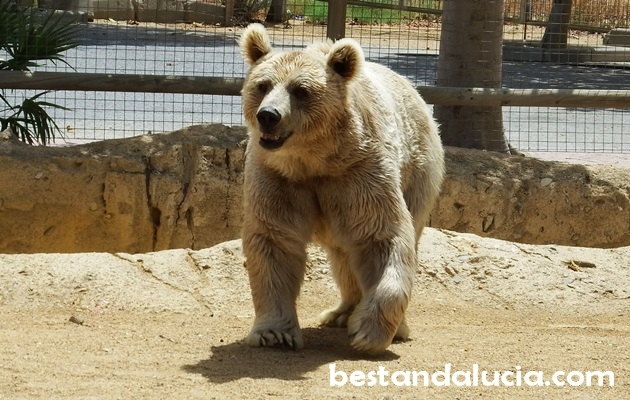 The best thing about Andalusian wildlife parks is that the animals have amazing homes there. They are allowed to roam freely or semi freely, so to you it feels as if you were observing them in their natural habitats! That’s good news both for you and the animals of course. What is also great is that because of the pleasant southern Spanish climate, it’s possible to visit those zoos most time of the year. 1. SELWO AVENTURA. Located between Estepona and San Pedro. It is by far one of the most popular attractions on Costa del Sol, a remarkable piece of Africa on the Spanish coast. People from all over Eruope come to visit it, as it’s one of a kind on the Old Continent. Selwo Aventura covers nearly one million square metre site! There is a unique Canyon of the Birds, a large netted area where most fascinating birds can fly freely – there are different viewpoints to observe them. 2. BIOPARC FUENGIROLA. Squeezed in the centre of the city. Before entering this Bio Parc, which looks very inconspicuous from the outside, your expectations tend to be very low. You may even decide to skip this attraction as the ticket price is quite hefty. Don’t do it, buy the ticket, you won’t regret it. 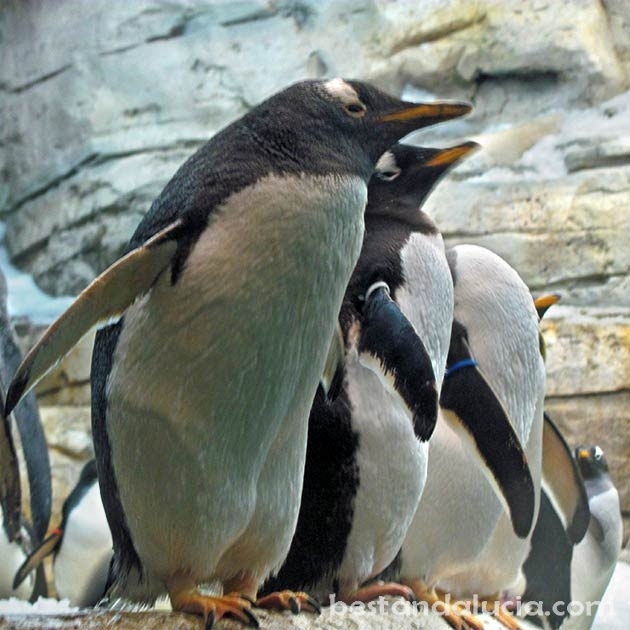 Fuengirola’s Bioparc is ranked second on our list for a reason! What most people praise a lot are well-designed enclosures which are sometimes more eye-catching than the wild animals themselves! You will find here buildings styled to resemble ancient palaces, there are charming bridges, great flora all around you and some fantastic observation points. Fuengirola’s Bioparc is inhabited by a tiger, an orang-utan, a hippo, chimpanzees, lemurs and lots of other wild animals, some of which you probably haven’t seen in any other zoo. 3. OASYS MINIHOLYWOOD – located in the Tabernas desert near Almeria. This large entertainment park comprises of a Wild West village and a large zoo with a western background and with a number of unique species such as white tiger. All the enclosures are very spacious and well-maintained. 4. 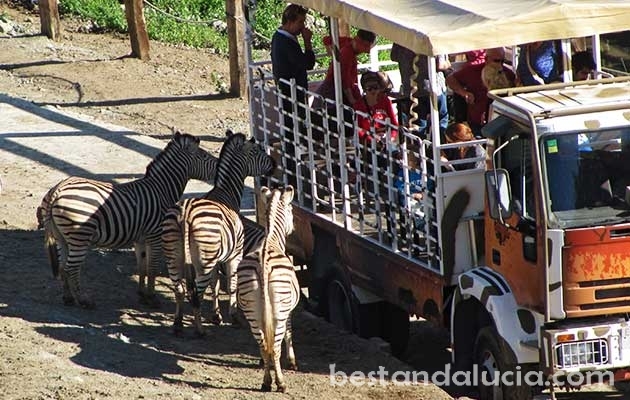 CASTELLAR ZOO – Castellar Zoo is quite small compared to the wild life parks ranked 1st and 2nd, however it’s very well taken care of and you get good value for money. Plus, there are some perks if you decide to pay visit. 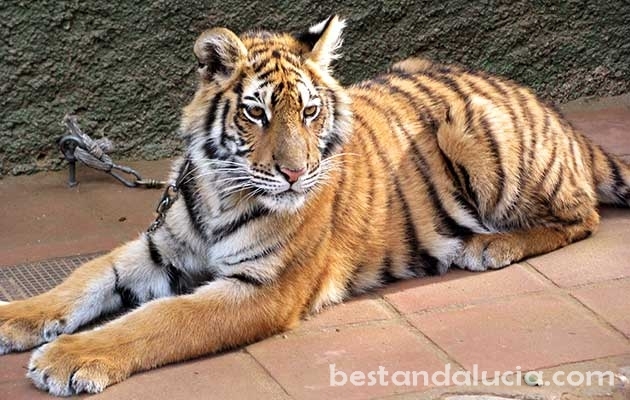 For example, right at the entrance there is a very amiable junior tiger on the leash, you can approach it, caress it and obviously take this invaluable Facebook picture! 5. 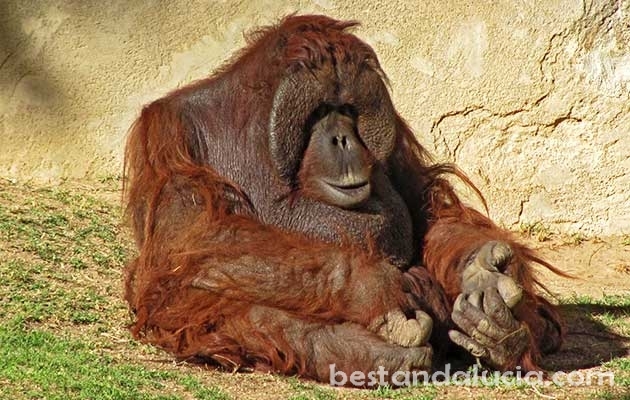 JEREZ ZOO – Jerez de la Frontera boasts big top quality zoo. It’s located just outside the city. The best thing about the zoo is that the entrance fees are really cheap and it’s never overcrowded. 6. CORDOBA ZOO – average zoo located in the city centre. 7. LOBO PARK – wolf park located near Antequera in the Malaga province, close to beautiful Torcal mountains. A large place where lots of different wolves live in semi-natural conditions. The tours are very interesting and informative. It’s also possible to have a tour in English. 1. 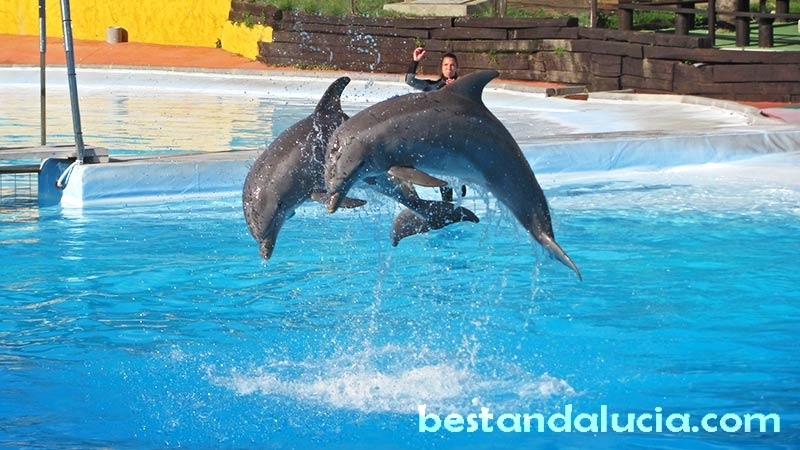 SELWO MARINA – Amazing park located in the middle of Benalmadena with plenty of attractions including wonderful dolphin shows, penguin feeding sessions, exotic birds exhibitions and much more. 2. 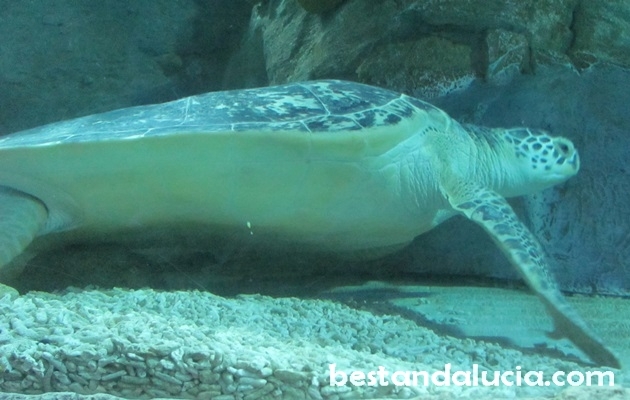 SEA LIFE AQUARIUM – Underwater park next to Benalmadena’s seafront promenade. Sea Life boasts more than 30 aquarium tanks which are home to some of the most incredible sea and ocean creatures: sharks, giant turtles, rays, seahorses, octopus, jellyfish, eels and sea otters. 3. AQUARIUM ROQUETAS DE MAR – located in the town Roquetas de Mar near Almeria. The sea life aquarium covers 3,000 square meters. It consists of the Amazon river section, the Oceanarium, the Mediterranean room nad more. The entrance fee for an adult is 16.95 Euros. 4. CROCODILE PARK IN TORREMOLINOS – if scarry beasts such as crocs are your thing, you can’t possibly miss this place! More than 200 different crocodiles awaits your visit!